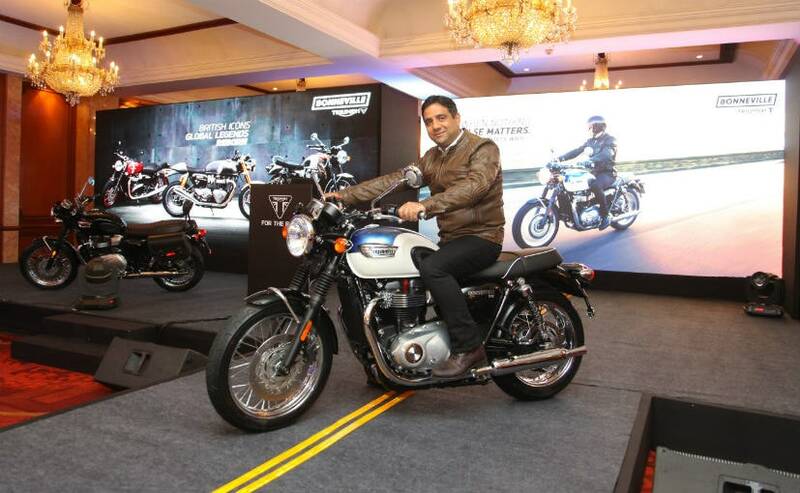 The new Triumph Bonneville T100 finally made its debut in India. It is priced at ₹ 7.78 lakh (ex-showroom, Delhi). It will replace the existing T100 and borrows the engine from the Triumph Street Twin. The new Bonneville T100 was unveiled recently at the INTERMOT motorcycle show and comes equipped with technology like electronic ride-by-wire throttle, traction control, torque-assist clutch and standard ABS. The last generation T100 didn't have rider aids like ride-by-wire, traction control or even ABS. The chassis and suspension setup is new too, which promises to give a good ride quality and be comfortable even in daily use. The Bonneville T100 is shod with Pirelli Phantom Sportscomp tyres, which have been specially designed for the Bonneville family. 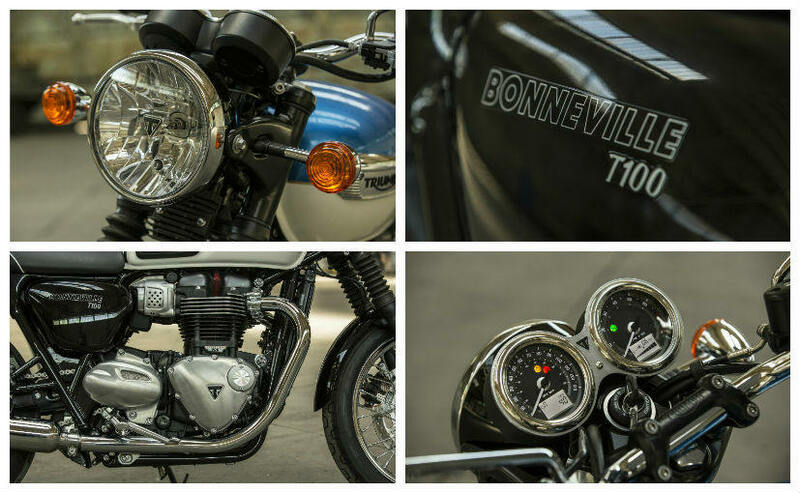 The 900cc parallel-twin engine that makes 54bhp power at 5,900rpm and peak torque of 80Nm at 3,230rpm, the Bonneville T100 borrows its looks from its elder sibling, the Bonneville T120. It maintains the retro theme with twin-pod instrument console and classic styling cues inspired by the original 1950s Triumph Bonneville. The new Triumph Bonneville T100 is available in three colours; Aegean Blue & Fusion White, Intense Orange & New England White and Jet Black. Triumph will offer 150 official accessories to customise the motorcycle to individual owner's requirements. Accessories include Vance & Hines slip-on silencers, leather seats, chrome clutch and alternator embellishers, and compact LED indicators. 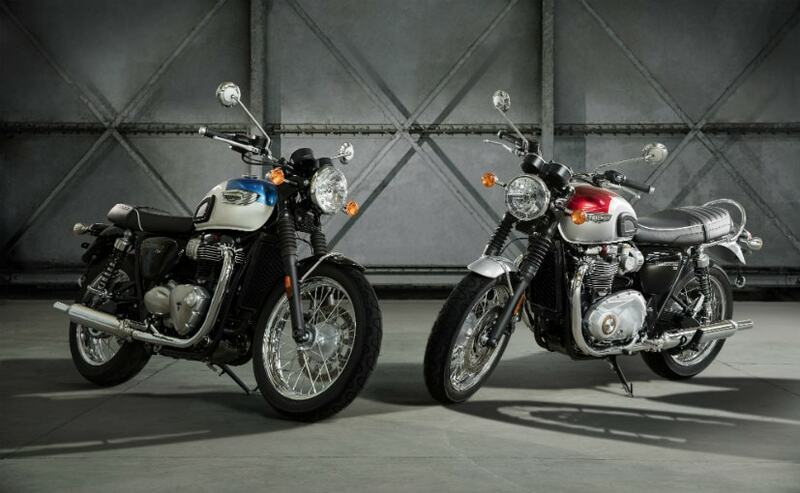 The last generation Bonneville was the largest selling Triumph in India, and although Triumph launched the Street Twin as the entry-level Bonnie earlier this year, there was no 'classic' Bonneville in the entry-level segment. Last fiscal, Triumph India sold over 3,000 motorcycles, taking second place in sales behind Harley-Davidson in the superbike market. In 2017, Triumph expects to see a growth of 25 per cent, and the new Bonneville T100 is expected to be one of the sales drivers for Triumph India.